For Intel, the road to their first real competitive smartphone SoC has been a long one. Shortly after joining AnandTech and beginning this journey writing about both smartphones and the SoC space, I remember hopping on a call with Anand and some Intel folks to talk about Moorestown. While we never did see Moorestown in a smartphone, we did see it in a few tablets, and even looked at performance in an OpenPeak Tablet at IDF 2011. Back then performance was more than competitive against the single core Cortex A8s in a number of other devices, but power profile, lack of ISP, video encode, decode, or PoP LPDDR2 support, and the number of discrete packages required to implement Moorestown, made it impossible to build a smartphone around. While Moorestown was never the success that Intel was hoping for, it paved the way for something that finally brings x86 both down to a place on the power-performance curve that until now has been dominated by ARM-powered SoCs, and includes all the things hanging off the edges that you need (ISP, encode, decode, integrated memory controller, etc), and it’s called Medfield. With Medfield, Intel finally has a real, bona fide SoC that is already in a number of devices shipping before the end of 2012. In both an attempt to prove that its Medfield platform is competitive enough to ship in actual smartphones, and speed up the process of getting the platform to market, Intel created its own smartphone Form Factor Reference Design (FFRD). While the act of making a reference device is wholly unsurprising since it’s analogous to Qualcomm’s MSM MDPs or even TI’s OMAP Blaze MDP, what is surprising is its polish and aim. We’ve seen and talked about the FFRD a number of times before, including our first glimpse at IDF 2011 and numerous times since then. Led by Mike Bell (of Apple and Palm, formerly), a team at Intel with the mandate of making smartphone around Medfield created a highly polished device as both a demonstration platform for OEM customers and for sale directly to the customer through participating carriers. This FFRD has served as the basis for the first Medfield smartphones that will (and already are) shipping this year, including the Orange Santa Clara, Lenovo K800, and the device we’re looking at today, the Lava Xolo X900. Future Medfield-based devices will deviate from the FFRD design (like the upcoming Motorola device), but will still be based loosely on the whole Medfield platform. For now, in the form of the X900 we’re basically looking at the FFRD with almost no adulteration from carriers or other OEMs. 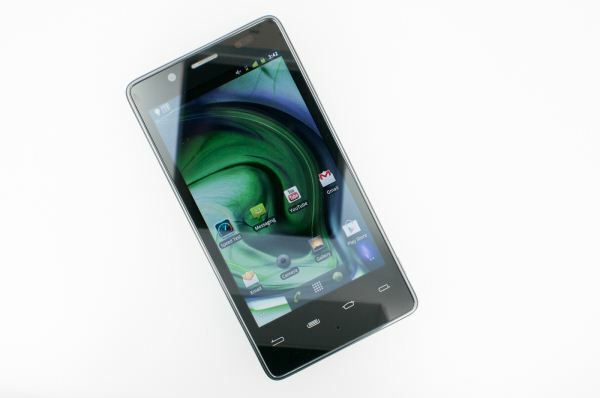 Read on for our review of the very first Intel x86 based Android smartphone.